Jason Roberts is a physical therapist currently working at Nebraska Medicine at Village Point. 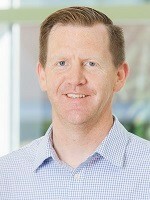 Jason has been a physical therapist for 18 years concentrating in outpatient orthopedics and sports medicine. He has worked with various groups and athletes over the years including USA Swimming, USA Volleyball and USA Figure Skating. Jason has served on the Nebraska Leadership Board for the Arthritis Foundation for the last two years. His help and support for the Arthritis Foundation is greatly appreciated and we are happy that he is serving as our medical honoree for the 2018 Jingle Bell Run Nebraska . Join Jason in the fight against arthritis, register or donate today! Brittany Hanzlik of Kearney was diagnosed with polyarticular juvenile rheumatoid arthritis in 1999 at the age of 2. Her RA was very progressive and debilitating. Being so young when diagnosed, there was never life before arthritis. She has seen pictures and videos with her symptoms and flare-ups as a young child. The diagnosis came rather quickly. Currently, Brittany’s arthritis is in a very controlled state. She is not in remission, but able to maintain stability on one medication. She sometimes has issues with mobility and flexibility. Her biggest milestone is that she has been moved to yearly check-ups with her rheumatologist. Brittany enjoys hanging out with her friends and family, watching TV, movies, participating in her faith and exercise. Her dog, Max, a puggle, is 11 years old. She also played volleyball, basketball and track & field. She is involved in school at University of Nebraska Kearney. She is a member of the Undergraduate Research Fellowship, Student Summer Research Program, Lambda Pi Eta Honor Society and Mortar Board. 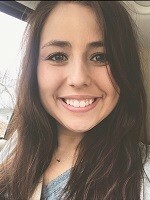 She participates in intramurals, UNK Forensic Team, UNK Newman Center and volunteers as an Arthritis Foundation’s iPeer2Peer Mentorship Program mentor. After graduation, her goal is to work in a healthcare organization that focuses on public health programming in youth. Brittany is grateful to the Arthritis Foundation. She appreciates the emails, helping her to understand and manage her disease. She has had the opportunity to meet other’s with RA through conferences, Camp Spirit, and other volunteer opportunities. Brittany has volunteered to be an honoree for the kids who don’t think there will ever be an end to all the symptoms associated with arthritis. Wanting them to know things can and will get better. When it does, you can look back and see just how far you’ve come. Join Brittany in the fight against arthritis, register or donate today! 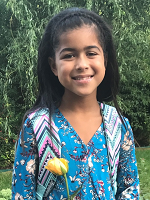 Juliana Chealey, age 9, was diagnosed with polyarticular arthritis at the age of 5. She has also tested positive for rheumatoid factor which is very rare, especially in young children. Currently, she does infusions every 4 weeks. The cold weather has been hurting her, causing flare ups. She is in swimming right now which helps her stay active and moving. She also loves riding her bike and playing with her friends and her dog, Rajah. The onset of the arthritis has caused some of the everyday activities, such as running, dancing and exercise to be a challenge. Juliana is the middle child of two sisters. In school she enjoys Math. She has high hopes to be able to find a cure for arthritis. The Arthritis Foundation has helped Juliana to meet others that are going through the same suffering, especially in the summer at Camp Spirit. Juliana is honored to be chosen the 2018 Jingle Bell Run Honoree Nebraska, giving her the opportunity to tell her story to others. Join Juliana in the fight against arthritis, register or donate today!